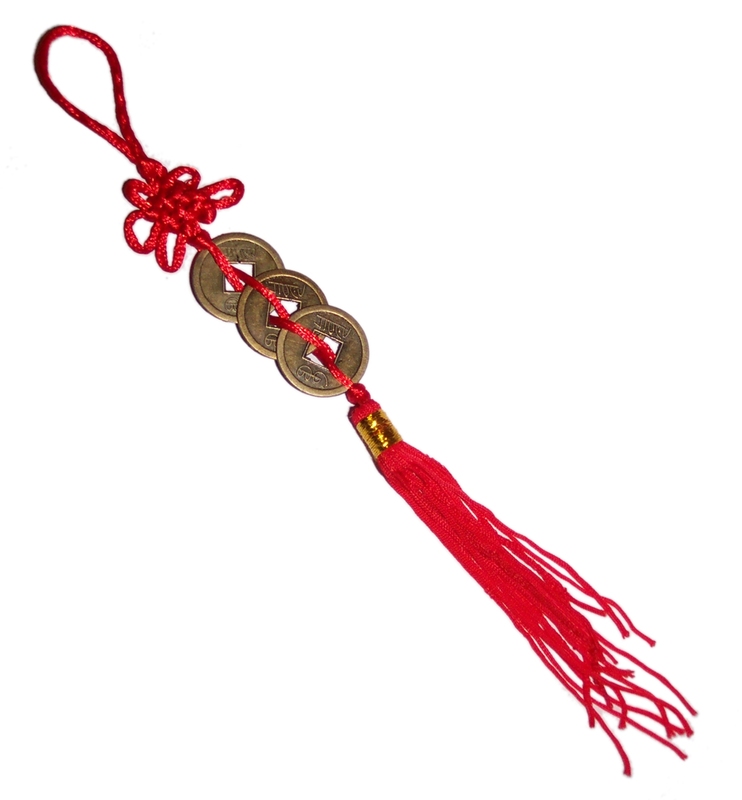 The coins symbolise wealth, the number 3 encourages growth and red is the colour of blood which gives life and energy to the money. Hang this charm in the far left-hand corner of a room or place in the left hand corner of your desk. Alternatively place in your wallet or purse or attach to the paying-in book of your bank account.